Event in the Palacio de los Deportes in Madrid, 2014. 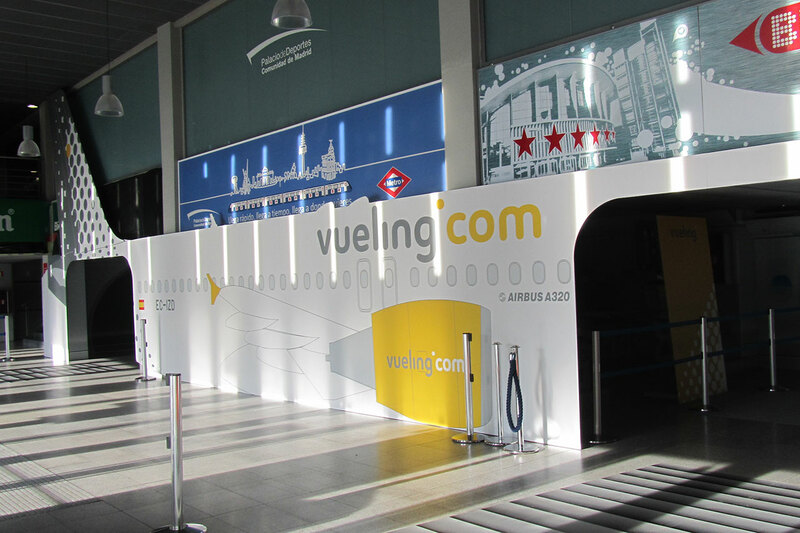 Full-size flight simulation of a Vueling airplane at the entrance to the Palace, with attendants giving demos and handing out flyers. 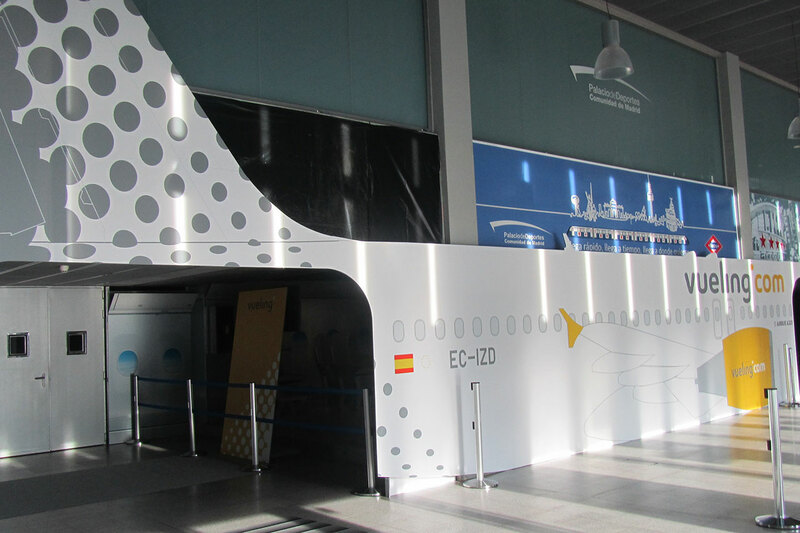 Great Ways was in charge of designing and building the plane and hiring the staff.